Before you buy any Miami Beach Waterfront Condos, you must read this article! 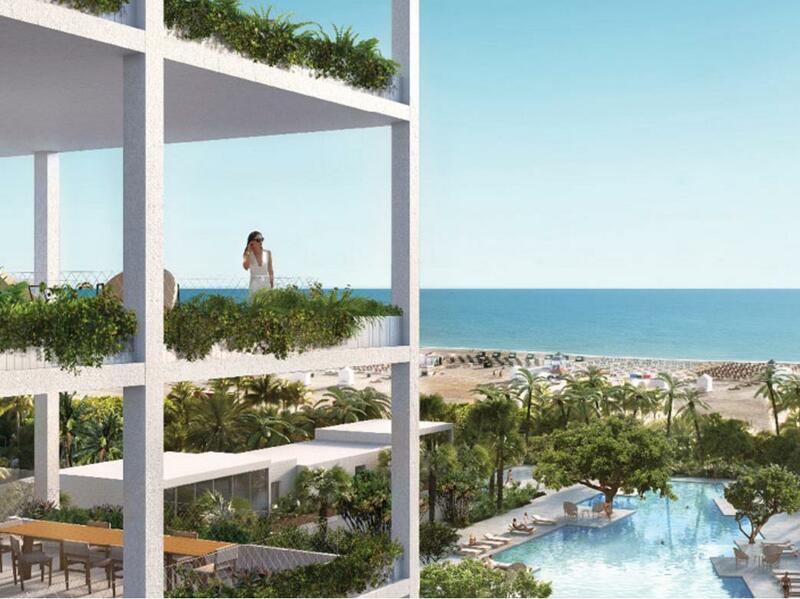 The featured unit is located in the Fasano Residences in Miami Beach, which is slated to be built next door to the iconic Shore club on Collins Avenue. The Fasano Residences condominium building is located in the heart of South Beach, along 19th Street and Collins Avenue at 1901 Collins Avenue, Miami Beach, FL 33139. This preconstruction community is one of the hottest developments in Miami Beach, and is to be delivered in 2019. The unit featured in this post, Unit # C-1401, is listed at $14,643,720, which is a great deal for a condo in a newly renovated oceanfront building with direct ocean views. Unit #C-1401 is in a newly constructed building, and is situated in one of the most popular areas of South Beach, just across the street from the Bass Museum of Art. Every room of this spacious unit has floor-to-ceiling impact glass windows showcasing stunning ocean and intracoastal views. The 5 bedroom, 5 bath, unit offers 3,926 square feet of living space. One of the best features of the unit is the chef’s kitchen, which has a modern feel with top-of-the-line appliances and fixtures. This 14th floor unit offers buyers breathtaking views of the Atlantic Ocean and the surrounding areas. Buyers can relax on their expansive, glass-walled terrace. This pre-construction community combines the intimacy of a private residence with the amenities and services of a 5-star boutique hotel. Fanso Residences in Miami Beach only has 67 oceanfront residences, and offers residence a space with a one-of-a-kind interplay of exterior and interior spaces. Each residence at Fasano combines the elements of natural light, water, air, and vegetation, in order to make a gorgeous living space. The Fasano Residences at Miami Beach forges a delicate balance between nature and design. That can be seen in the stunning, lush gardens and landscaping, which includes rainbow eucalyptus trees, colorful bromeliads, wild coffee plants, shade trees, and numerous hedged pathways. The Fasano Residences at Miami Beach offer residents 24/7 concierge and security services. Some of the amenities offered include more than 3,000 square feet of oversized terraces to take in the amazing ocean views, expansive gardens, an iconic lagoon-style central pool, a state-of-the-art ocean front gym, and a luxurious spa. If you are interested in learning more about this Miami Beach property, or any other property, contact me at pobiakproperties.com. I will be more than happy to help you find your ideal Miami Beach waterfront condo. This entry was posted in Miami Beach Waterfront Condos and tagged Miami Beach condos, Pobiak Properties, waterfornt condos on April 24, 2017 by Giancarlo Bobbio.